Trix 23429DB Passenger 3 Car Set Umbauwagen-Rebuild Cars T23429Prototype: 3 different 4-axle passenger cars of the German Federal Railroad (DB). Removals Car 1./2. 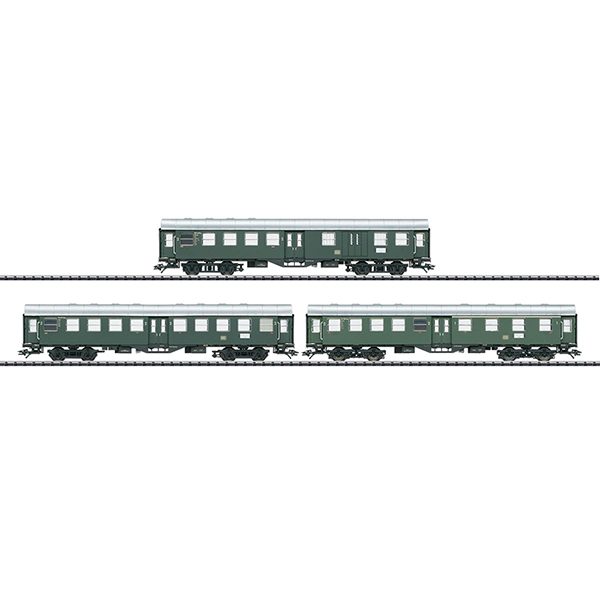 Class AB4yge, 2nd class conversion truck B4yge and 2nd class conversion car with luggage compartment BDw4yge. Operating state around 1958/59.